[Editor’s note: The following article was published in Chinese in the September 22, 2011 issue of the biweekly journal of Human Rights in China, a New York-based human rights group. The translation and photo were provided by Falun Dafa Information Center and Minghui.org.]. Mr. Zhang was brought to the yard of the 6411 Munition Factory’s guesthouse located on Bolin South Road. The brainwashing session was held in a building inside the yard. The entire fifth floor had been made into closed detention rooms used to “transform” Falun Gong practitioners [a process of forcing Falun Gong practitioners to renounce their beliefs through psychological and physical torture (more info)]. Mr. Zhang saw his wife on the ground, dead, with an egg-sized hole in the back of her head that was still bleeding. The people running the brainwashing session told Mr. Zhang that Ms. Yuan had fallen from the fifth floor. Then they revised their account and said that Ms. Yuan had committed suicide—claiming she had used a DVD player that was inside the detention room to break the window and then jump out. How did Ms. Yuan really die? The government is deliberately hiding the truth. The officials are covering everything up and refusing to answer any of her family’s queries. They are also trying to falsify and destroy evidence. During his visit, Mr. Zhang saw the windows on the fifth floor and that they were all taped up to prevent them from being broken. He did not see any broken windows, so how did Ms. Yuan break the window and from where had she supposedly jumped? Why would she commit suicide? Where did the hole in the back of her head come from? Who was there when she jumped? What did they do to her? Where is the surveillance video [footage]? Why did no officers come to investigate the death? Ms. Yuan’s family keeps asking these questions but no one is offering satisfactory answers. Instead, the brainwashing center is sticking to one sentence, “Yuan Pingjun fell from the fifth floor to the second floor and died.” They have offered no other explanation. Without asking the family’s permission, they took Ms. Yuan’s body to the crematorium, where it is being guarded so that the family cannot get close to it. Then, the Xinhua District [Communist Party] Politics and Law Committee, the 610 Office [a Communist Party extralegal security force for persecuting Falun Gong (more info)], Ning’an Road Police Station, and other agencies formed a so-called case investigation team to “work with” the family. First, that the family needs to clearly understand the situation and not call too much attention to the matter; the family cannot set up a mourning hall and cannot communicate with the media. Second, that the family needs to look at the issue “from a political perspective” and “as a sensitive issue.” They cannot negotiate with the government [based on the law]. Meanwhile, plainclothes police are monitoring Mr. Zhang and his and Ms. Yuan’s 21-year-old son. The team’s goal is to pressure Mr. Zhang and his son into signing an agreement permitting the immediate cremation of Ms. Yuan’s body, so that this incident will quietly move out of the public eye, and the murder will be dealt with in private. What is a “Transformation and Brainwashing Session”? Ms. Yuan died at the age of 45. She had a very good reputation as a street tailor and her work was of high quality. There were many people who specifically went to her for tailoring. Her husband works in a factory and their son is in college. They were living quite peacefully. After security agents took Ms. Yuan away on August 2, 2010, police immediately went and ransacked her home. They extorted 550 yuan from Mr. Zhang and called it “tuition” needed to pay for the “transformation and education session”. The purpose of the “session” is to brainwash people – to change their ideology. This is a common tactic used by the Chinese Communist Party (CCP) to persecute people. People are arrested without any legal procedures and then placed in a “session” to suffer all kinds of physical and mental torture, until they break down and give into the brainwashing. This method is also being used on Falun Gong practitioners. Since the CCP launched its persecution of Falun Gong in 1999, not only have many more jails and forced labor camps been constructed, but these brainwashing sessions have also appeared all over the country. The sessions are given names with positive connotations such as “education” and “studying,” but in reality, they are essentially private jails built for the purposes of violent brainwashing. They are usually located in remote areas, partly to keep the people who are arrested in complete isolation to force them to yield, and partly to keep their illegal, violent treatment a secret. Some “sessions” are located in detention centers and some are in residences owned by the military. The session where Ms. Yuan died was in a munitions factory guesthouse. From incomplete statistics published by Minghui.org [the main Chinese-language Falun Gong website tracking the persecution through first-hand reports smuggled from China], several tens of thousands of practitioners have been sent to brainwashing sessions run by the 610 Office. The phenomenon is most severe in provinces like Heilongjiang, Hebei, Hubei, Shandong, Liaoning, Jilin, and Sichuan, as well as in the municipality of Chongqing. [According to Minghui.org’s statistics,] in 2010 alone, at least 2,038 Falun Gong practitioners were detained by the authorities, and about half of them were sent to brainwashing sessions. How Does a Brainwashing Session Work? Normally, when a practitioner is first arrested and sent to a “brainwashing session,” he or she is put into a room alone. There are two “monitors” who are usually criminals, or “assisting instructors” who may be from the practitioner’s workplace. They monitor the practitioner at all times. All of the practitioner’s activities, including eating, drinking, urinating, and defecating take place in that one room. The practitioner is not allowed to leave the room. The brainwashing centers ask the local government for money for every newly detained practitioner. They also force the practitioner’s workplace to give them some money. In addition, they frequently use all kinds of techniques to extort money from the practitioner’s family. Because the brainwashing sessions operate outside the law, it is impossible to calculate exactly how much money has been collected via this channel over the years. Minghui.org reported from an inside source that a brainwashing session held in Sichuan Province’s Deyang City by the 610 Office and Politics and Law Committee was able to get 5,000 yuan from the local government for each Falun Gong practitioner arrested. Some personnel were showing off to Falun Gong practitioners, saying, “We have a lot of money to ‘transform’ you. You all brought in several million this time.” In November 2010, the 610 Office and Police Department in Fenxi County of Shanxi Province detained 10 Falun Gong practitioners and held a brainwashing session on the second floor of Yangguang Restaurant. The authorities allocated 100,000 yuan for the session. The task of a brainwashing session is to force practitioners to give up their belief in Falun Dafa. This is also an indicator used for evaluating the “political achievements” of local 610 Offices: How many practitioners were “transformed”? How long did it take? Those overseeing the sessions do not care if Falun Gong practitioners are truly “transformed.” As long as a practitioner agrees to write a statement saying that he or she will no longer practice Falun Gong, the task of the session personnel is complete. Brainwashing session administrators usually use both soft and hard methods on Falun Gong practitioners. They start with soft methods, such as forcing practitioners to “study” documents and video materials slandering Falun Gong; hiring specialized “brainwashing personnel” to persuade each practitioner to renounce the practice, taking into account his or her specific situation; offering small benefits such as taking care of the practitioners’ healthcare or promising to improve the living conditions of the practitioner’s family [if the person agrees to renounce Falun Gong]; threatening the practitioner that [if he or she does not “transform”], family member will not be able to get a promotion, children won’t be allowed to advance to the next grade in school, or the family’s social benefits will be taken away, etc. Many brainwashing centers bring in the practitioner’s family members and make them kneel in front of the practitioner, cry, beg the practitioner to recant, and even threaten the practitioner with divorce or cutting off of relationships if they do not. This is to make them feel that “if you don’t submit, it will implicate your family,” to force practitioners to give up their belief. Some practitioners eventually compromise under all of these threats, even though it is against their will. Those practitioners who remain firm denounce these illegal and immoral methods, and urge their family not to be fooled. They instead try to sue the persecutors in court and expose them in the media. These practitioners who are firm and uncompromising then become targets for the “hard” methods, which include all kinds of physical and mental torture. 1. Not allowing practitioners to sleep. It is common that practitioners in brainwashing sessions are not allowed sleep for several days at a time. There was one case in which a practitioner was not allowed to sleep for as long as 38 days. When practitioners reached the limit and their eyes could not stay open, the monitoring personnel would suddenly kick them very hard or shout something very loudly to wake them up. In winter, the monitoring personnel would suddenly pour cold water inside practitioners’ collars. Some even force the practitioners’ eyes open and drop insect repellant or pepper juice into them. Mr. Zhang Yun was once a police officer in Luquan, Hebei Province. He was put into a brainwashing session and was not allowed to sleep. Eventually he passed out and fell to the ground, causing one of his teeth to be knocked out. Shijiazhuang City Railway Branch train conductor Ding Lihong was not allowed to sleep for 25 days. Liu Lifeng of the Hebei Province Council of Economy and Trade returned from a foreign country after completing his graduate degree, [was taken to a brainwashing session], and was not allowed to sleep for 18 days. The session personnel put insect repellant in his eyes, refused to let him use the restroom, and forced him to sit with his legs crossed for long periods of time. Because he would not give in, in the end he was sent to a forced labor camp. 2. Iron chair. This is a torture method routinely used in Chinese jails. The iron chair is made of metal pipes, and when people are forced to sit on it for long periods of time, the skin on the hips and buttocks gets rubbed off, causing sores to develop. It is very painful. Some practitioners are forced to sit on iron chairs for several days straight without letting them get up to use the restroom, so they end up having sit in their own waste. Ms. Yang Xiuying from Changli County in Qinhuangda of Hebei Province was forced to sit on an iron chair for seven days. The personnel in the brainwashing center placed three pictures of Falun Gong’s founder on the chair and the floor, and forced practitioners to sit on them and step on them [causing mental anguish for practitioners who feel this is deeply disrespectful to their spiritual guide]. 3. Brutal beating, shocking with electric batons, and hanging. Practitioner Fang Yanru was brutally and continuously beaten for 16 days at Funing County Brainwashing Center in Hebei Province. Several strong men held her down on the ground, beat her with rubber sticks and whipped her with ropes. They pushed her head onto the ground and stomped on her head with their shoes. They also stepped on her fingers, which caused the joints to dislocate. Ms. Fang passed out many times, but they would continue to beat her once she regained consciousness. Ms. Fang became incontinent and blood was all over the ground. Practitioners from a low economic class or from rural areas, who are often illiterate or do not have much education, typically suffer more brutal beatings [than urban or well-educated practitioners]. Many are left with permanent disabilities. 4. Forcing practitioners to take nerve-damaging drugs. It has been exposed that brainwashing centers in many areas are putting drugs that damage the brain or central nervous system into the food and drink of practitioners. These drugs can cause victims to experience a catatonic state or extreme pain. Ms. Li Huiyun, an associate professor from Hebei University of Technology Electrical Engineering, was sent to Shijiazhuang Brainwashing Center and then later a forced labor camp. When she was detained in the brainwashing center, she was forced to take drugs, which slowed down her reflexes. On several occasions, while she was in the drug-induced, trance-like state, she wanted her life to end. On May 8, 2005, Mr. Jin Litao from Tangerli Town, Bazhou City, Hebei Province was taken to Langfang City Brainwashing Center in the Transportation Department hotel. His family requested his release again and again, and he was finally released after 20 days. However, when he got home, his mind was sometimes clear and sometimes not. When his mind was clear, he told his family that he was beaten and humiliated in the brainwashing session, and they gave him a shot under his armpit because he resisted the persecution with a hunger strike. After that, his mind broke down. As early as 2002, some people exposed that in Luquan City Brainwashing Center, personnel held practitioners’ heads down, forced their mouths open, and forced them to drink some pink liquid. This drug severely damaged one’s central nervous system. Some practitioners attempted to smuggle the drug outside [so that experts could analyze it and] figure out what it was, but they were discovered. 5. Forcing practitioners to experience extreme temperatures. During winter, some brainwashing centers force Falun Gong practitioners to stand in the snow outside without a jacket. Some brainwashing centers have no heating system inside and the beds are just a wooden board one inch off the ground. Some pour cold water over practitioners’ heads during cold winter nights. In the summer, they force practitioners to stand in the sun during the daytime, and at night, they force practitioners to stay outside in the yard and be bitten by mosquitoes. 6. Sexual molestation and harassment. In Balizhuang Brainwashing Center of Tangshan City, personnel have removed female practitioners’ clothes, stretched out their arms, and hung them in the air with their feet not touching the ground. They would have male thugs take the practitioners’ pants off, touch their breasts, and humiliate them at will. Sometimes they also tied practitioners arms and legs, raised them up high and then dropped them on the ground. There is a brainwashing center employee named Liang Ziling in Shijiazhuang Brainwashing Center who instigates male thugs to hold female practitioners and forces them to give in through sexual humiliation. 7. Abusing Falun Gong practitioners at will. This includes pulling Falun Gong practitioners’ eyelids, hitting their eyeballs, pulling their ears, forcing alcohol into their mouths, etc. For instance, elementary school teacher and practitioner Ms. Qie Lili from Xili Elementary in Shijiazhuang City was arrested and taken to “Shijiazhuang City Legal Education and Training Center” in April 2002. She was only 24 years old at the time. She was not allowed to sleep for 12 days and nights; they also pinched her nose and poured a liquid with 80 percent alcohol into her mouth, blew smoke in her face, and put insect repellant into her eyes. They forcibly held her hands to write words that are slanderous to Falun Gong. She was later put into a forced labor camp for two years and then secretly sentenced again. She is still being held in Hebei Province Jail. 8. Burning practitioners’ hands with lighters, not allowing practitioners to use the restroom, and forcing them to urinate and defecate in their pants. In Shijiazhuang Brainwashing Center, Xing Xiao used a lighter to burn Falun Gong practitioner Jiang Fan’s hands, causing many scars. Falun Gong practitioner Ding Liyan from Tongliao City, Inner Mongolia was not allowed to sleep for eight days and nights. The people in the brainwashing center force-fed her with alcohol, brutally beat her, and did not allow her to use the restroom. They wrote a lot of words on her face, arms, and hands that were slanderous of Falun Gong’s founder. They also held her hands to force her to write slanderous words. According to rules specified by the Ministry of Public Security, “Females who are pregnant or have children less than one year old, and minors who are less than 16 years old, cannot be forced to perform labor.” Even if the forced labor camp system has these rules, the brainwashing centers do not honor them. As long as one practices Falun Gong, it does not matter if he or she is a minor, elderly, pregnant, or has a young child; he or she can be taken to a brainwashing session. For instance, a March 2001 brainwashing session in Changyi District, Jilin City included three children: 8-year-old Hou Zhenlong, 14-year-old Zhao Qi, and 15-year-old Guo Xiujing. Practitioner Ma Shuang, who was a teacher at Yongji Teacher Training School in Heziwan Town, was 77 years old when put into a brainwashing session. Liu Qiuhong from Zhongce Pharmaceutical in Yantai City, Shandong Province, was arrested when she was eight months pregnant. The police forcibly induced labor. The baby was born alive and cried, but then the baby was taken away and is missing to this day. No one knows whether the baby is still alive. After the birth, Ms. Liu was not allowed to rest, but was immediately put into a brainwashing session for almost a month, near Fenghuangtai Office. Ms. Liu Aihua and her one-year-old daughter, Guo Yuetong, from Changli County, Qinhuangdao were arrested and were both taken to a brainwashing center run by the 610 Office. They were both held there for two years. Because there is no legal procedure for putting people into brainwashing sessions, many are tortured severely, some to death. In a brainwashing session held at Yuzhuang Township, Dingxing County, Hebei Province, 56-year-old villager Xiong Fengxia died on October 13, 2002. It was later verified that she was brutally beaten to death. The murderers were the numerous police under legal section chief Zhang Jun of Dingxing County Police Department, as well as the thugs from the brainwashing session. They hung Ms. Xiong and others in the air, and beat them with rubber sticks, mulberry sticks, and other types of weapons. Ms. Xiong was beaten so badly that she could not move and needed others to carry her to use the restroom. Her abusers said that she was pretending, and forced her to run in the yard. She could not eat, but they said she was just pretending, and force-fed her. She was eventually tortured to death. When her family saw her body, her teeth were clenched, and her entire body was dark purple and swollen. Her wrists had deep scars from when she had been hung up with metal chains. Practitioner Wang Xingtian from Nanqi Village, Dayangzhuang Township, Ningjin County, Hebei Province was put in Ningjin County “Legal Education Center” on February 21, 2000. One month later, he was transferred into the Beiquanli Township Government building and was brutally beaten by hired thugs using electric batons and iron bars. He was not given anything to eat or drink. On March 25, his family paid the police some money and they agreed to release Wang Xingtian, who at the time was unconscious. His family took him home but he passed away on the same day. Practitioner Liao Yonghui, who was over 70 years old and who was a retired employee of the Sichuan Relics Management Center, was tortured in Jinhua Brainwashing Center of Chengdu for 10 months. He had frequent heart attacks and passed away soon after being released. This list goes on and on. According to incomplete statistics, since 1999, there have been 3,444 verified cases of practitioners dying as a result of the persecution. These cases are distributed throughout 30 provinces, autonomous regions, and municipalities. According to Minghui.org, the provinces with the most cases are, in descending order, Heilongjiang, Hebei, Liaoning, Jilin, Shandong, Sichuan, and Hubei. These cases took place in jails, forced labor camps, detention centers, and mental hospitals, but many also happened at brainwashing sessions. One of the biggest reasons that so many practitioners have been tortured to death is that the 610 Office is eager to show “achievements” and thus they encourage their thugs to torture practitioners and cover up their crimes. The brainwashing centers are just like other parts of the Communist regime in that no matter how they break the law, they will always have a way to hide their crimes from the public. Brainwashing centers frequently require the “transformed” Falun Gong practitioners and their families to give them banners praising them with wording such as “Saving people who have gotten lost,” or “Great nurturer like the spring air and rain.” They sometimes even require these banners to be presented to them at a so-called “farewell party,” during which they record it and then put it on public television. Sometimes these requirements are mandatory. An elderly practitioner named Hou Guangtao was in a brainwashing session at Hexing Town, Guanghan, Deyang City, Sichuan Province. He was told to cooperate in a video recording with several “performers.” They said to him, “If you cooperate with us to make the recording successfully, then we will send you to the hospital to help you recover (Mr. Hou had health problems due the persecution in the brainwashing session), build you a new house, buy you new furniture, and help you get social security so you will have money every month.” Mr. Hou refused. If someone dies as a result of torture, but the authorities find it hard to cover up the suspicious circumstances of the person’s death, they block the news and ask the family to accept “a deal in private.” After Ms. Yuan died, the local government forced the family to “resolve it in private” with 100,000 yuan. 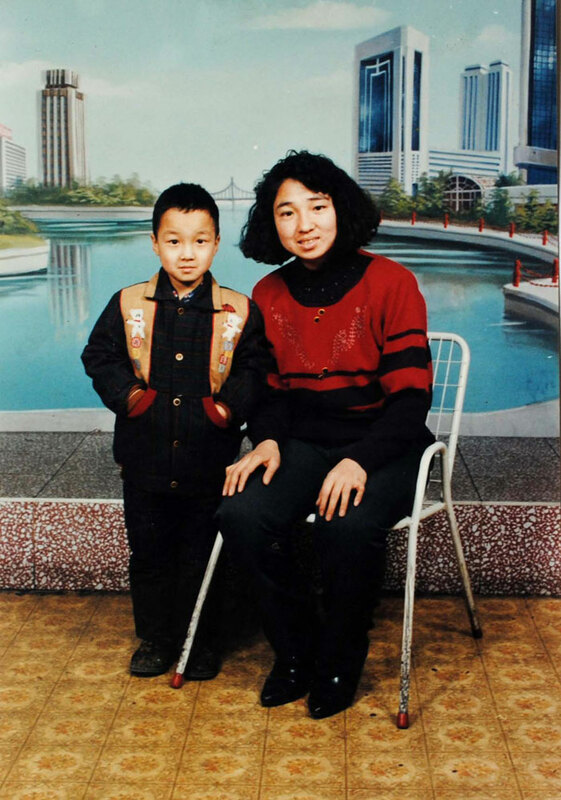 On May 20, 2005, practitioner Chen Jianhua was tortured to death in a brainwashing session at Yinzhou District, Ningbo City, Zhejiang Province. The police wanted to “resolve it in private” with 300,000 yuan. In May 2006, Falun Gong practitioner Wu Hong was tortured to death in “Penglai City Legal Training Center” in Shandong Province. The authorities categorized it as an “unexpected accident” and asked the family to accept their deal in private. Ms. Wu’s husband Wang Xiaofang refused and went to Beijing to appeal. Then the Penglai 610 Office changed the case to “Wu Hong committed suicide” and had police go to Beijing and arrest Wang Xiaofang. Because Wang Xiaofang refused to keep quiet about the case, they tortured him to death in a hotel and said he committed suicide by jumping from the building. Two murders were covered up just like that. Most personnel in the brainwashing sessions hide their true identity and tell others false information, such as their name, work, phone numbers, etc. For instance, one person directly related to Ms. Yuan’s death, Shijiazhuang Xinhua District 610 Office deputy director Liu Haojie, began at this position in 2001 and initiated the brainwashing sessions and detention of practitioners in the area. Under his orders, several hundred Falun Gong practitioners were detained, many families were forced to separate, and some have been tortured to death. For all these years, however, Liu Haojie has always hidden his real name and told others that his name was Zhang Jun. Shijiazhuang 610 Office insisted that Ms. Yuan committed suicide. They used all kinds of methods to try to “make a deal in private,” including threatening the family and promising them money, etc. Ms. Yuan’s husband Zhang Yundong was determined to get justice through the law. Thus, despite the police obstruction, he was able to hire lawyer Xie Yanyi from Beijing and they sued the local government. Xie Yanyi believes that this case is very clear: Just based on the facts that these people illegally arrested and detained Ms. Yuan, caused her death, and then attempted to “deal with it in private,” they should be charged with “illegally detaining others” and “intentional murder.” The more they try to cover it up and protect themselves, the worse their crimes are. Xie Yanyi said that they must find out who the murderer is to be fair to Ms. Yuan. However, such a clear case has encountered all kinds of obstruction in the legal proceedings. The local government used its power and done all kinds of things to the family and the lawyer. For instance, after Xie Yanyi accepted this case, the Beijing Bureau of Justice sent people to talk to him and tried to stop him from working on it. This case is still in a very difficult stage today. The entire bureaucratic system is like a huge black cloth covering up everything. It is very hard for Mr. Zhang to get justice for his wife despite all the evidence [indicating she was tortured to death]. The persecution of Falun Gong has lasted for 12 years. Every day, there are countless Falun Gong practitioners suffering brutal persecution in jails, forced labor camps, and brainwashing centers. Although the Chinese Communist regime is doing everything they can to cover up the persecution and murder, there are still many cases that have been exposed. The witnesses include not only the victims and their families, but also human rights lawyers, activists, scholars, and even the government officials and police officers within the system. It is especially important to point out that such a terrifying persecution has lasted for so long and no one can or should ignore it. Everyone needs to show their conscience and courage to expose it, criticize it, and denounce it. We should show our full sympathy, support, and help to those who are the victims of this persecution.